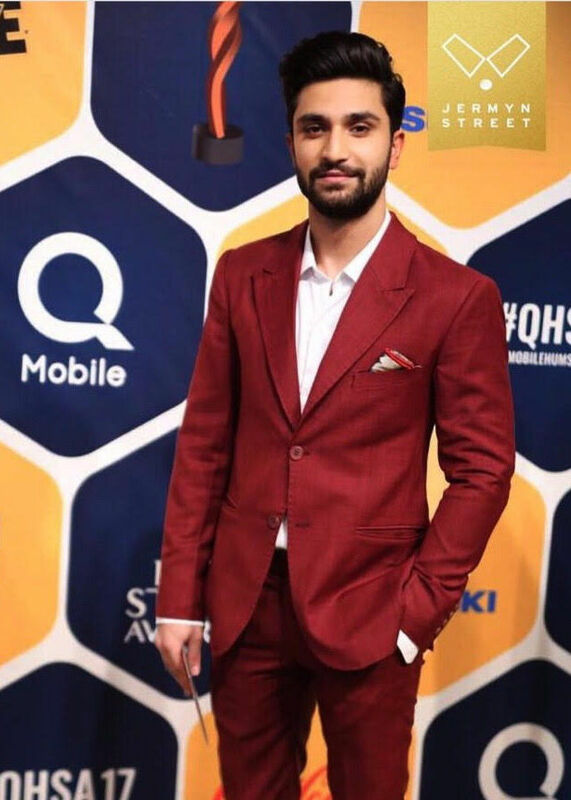 Ahad Raza Mir may not have been a part of our fabulous drama industry for long, but, boy oh boy, he sure has won over hearts too many (and critics alike!) with his swoon-worthy looks and that boy-next-door charm of his. We love him for his on-point performances (duh!) but today this young star has made it to our style radar based on the on-fleek looks that he sports on red carpets! So, today we have rounded up our favourites – go steal a look at this firecracker! What’s not to love about a man who knows how to carry off this deep red so well on a red carpet? We like how he has paired this bright shade off with a crisp white shirt to balance the entire look. What’s further complimenting this hottie’s red carpet look is his smoothed-back hair and as always, a subtle smile.